We offer high quality off road vehicle parts and off road vehicle accessories for off road vehicles used in agriculture and construction. 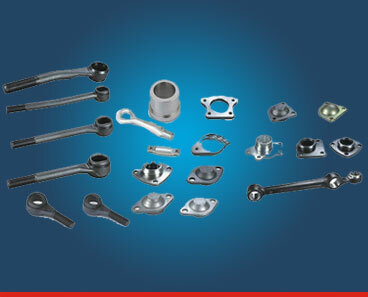 Made from best quality raw material, these are resistant to rust and corrosion. All the off road vehicle parts are specially designed to withstand heavy load and work under the most challenging conditions. Available in standard specifications, our range of off road vehicles components comply with international standards of quality and performance. We offer high quality off road vehicle parts for off road vehicles used in agriculture and construction. Made from best quality raw material, these are resistant to rust and corrosion. All the off road vehicle parts are specially designed to withstand heavy load and work under the most challenging conditions. Available in standard specifications, our range of off road vehicles parts comply with international standards of quality and performance.